Succeed when all seems impossible. According to The Almadel of Solomon, a 17thC book purportedly written by King Solomon, Barakiel is in charge of people's attitude and protects innocents. Barakiel hunts evil, has domain over lighting, and rules the month of February. He is a ruler of the seraphim, which are divine creatures associated with cherubim. Cherubim are the winged creatures, or guardian spirits, who protected the Garden of Eden. Barakiel assists people in having a positive outlook and in experiencing good fortune. Barakiel is said to have a sense of humour and inspires laughter and joy. It's said that as he walks in is favourite place, the prayers of people appear on trunks of the trees around him. And he always answers the prayers offered with an open heart and a willing spirit. i dreamt of feathers… white ones which i couldn't catch, but i caught a brownish one. Anon – I sense that your dream of not being able to catch the white feathers (which are strongly associated with angels) may mean that you feel that you cannot establish a strong connection with the angels to receive their help. Re: catching a brown feather – brown is an earthy colour so may mean that you need to get back to your roots. It's also a dark colour so may be a reflection of a low mood. Try some of the angel meditation exercises on this blog to help you establish a stronger link with the angels who are always willing to offer you their unconditional love and support if you should be in need. How can I ask Barakiel to watch over and protect me while I am at work? I have recently been diagnosed with MS and my employers are not being very nice to me. They are trying to get rid of me on constructive dismissal. I am worried that all this negativity will have an effect on my internal well being as well as physically. Fae, Sorry to hear that you experiencing stress at work. I don't know where you are based in the world, but in the UK employers have a duty of care to employees who are disabled in any way. So you should follow this up with the appropriate authorities to try to get this stopped. 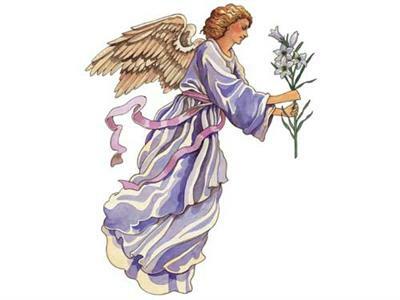 If you would like to receive angel guidance or help directly on any problems or issues in your life you can do this by sending a silent message to the angelic realm– at first the answers you receive may just seem like your own thoughts, but as you work with this method you will soon notice that there is a subtle difference which indicates angel answers to any questions you put to them. I truly now get the sense that this mighty archangel – Barakiel – is now working alongside my personal guardian angel who also is another mighty angel as I have found out (Mahasiah). As I am seeing number sequences all over the place – 222, 333, 444, 555, 11:11 and recently 777 & 888 – as well as lots of white feathers. I get the feeling that something really good will happen to me in the coming weeks or months, & it could well be a financial reward through a win on the Lotto, Thunderball or Euro Lottery. I have also seen 14:04 on clocks since I had a reading from yourself and that is my date of birth (14th April – 14/04) – could be significant! I have been in financial hardship for a number of years so something like this would certainly help me follow my dreams.